Welcome to the nineteenth Yarn Fanatic Party! It's a dreary day in my little corner of the world. That means a that it's a perfect day to play with my yarn. 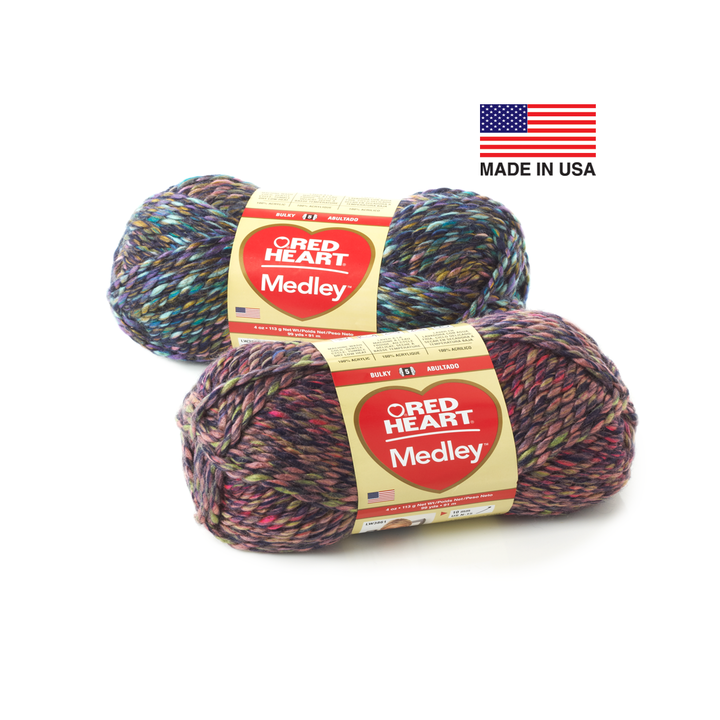 I currently am working with Red Heart's Medley Yarn. I'll be showing you more of that later. It simply is too dreary of a day, my photos of this yarn simply didn't do it justice. So this is a stock photo from Red Heart. There were so many beautiful projects linked up last week! I'd like to give a special shout out to Laura at Sew. Knit. Grow. 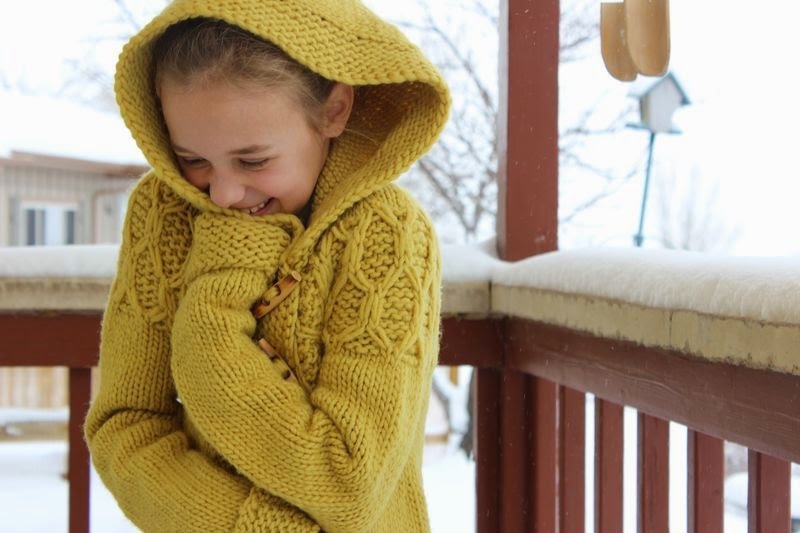 for the amazing coat she knitted for her daughter. I've added the pattern to my Ravelry favorites, and whenever I get around to making it, I hope mine turns out half as nice. The Yarn Fanatic Party co-host, Alexandra of Eye Love Knots, has been busy. 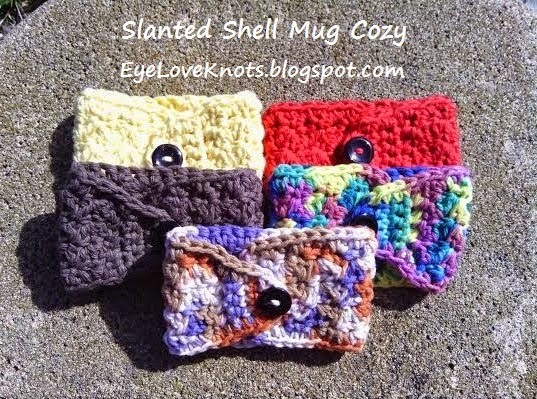 Did you see her free crochet pattern for a Slanted Shell Mug Cozy? You must be 18+ and a US resident to enter. Void where prohibited. Winner will have 48 hours to respond to my email or a new winner will be drawn. Speaking of giveaways, make sure that you check you emails. I emailed the winner of the $5 Amazon giveaway this morning. She has 48 hours to respond. What have you created with yarn? It could be something you crocheted, knitted, or anything that used yarn. It can be a new project or an old one. (You just can't have linked it up here before.) I can't wait to see what you've created! Hi Rachel! Thank you for another party, and thank you for providing a button! I really love the crochet Lady Bug hat. I think that's an adorable one, too! Thanks for visiting! Thanks for the giveaway! 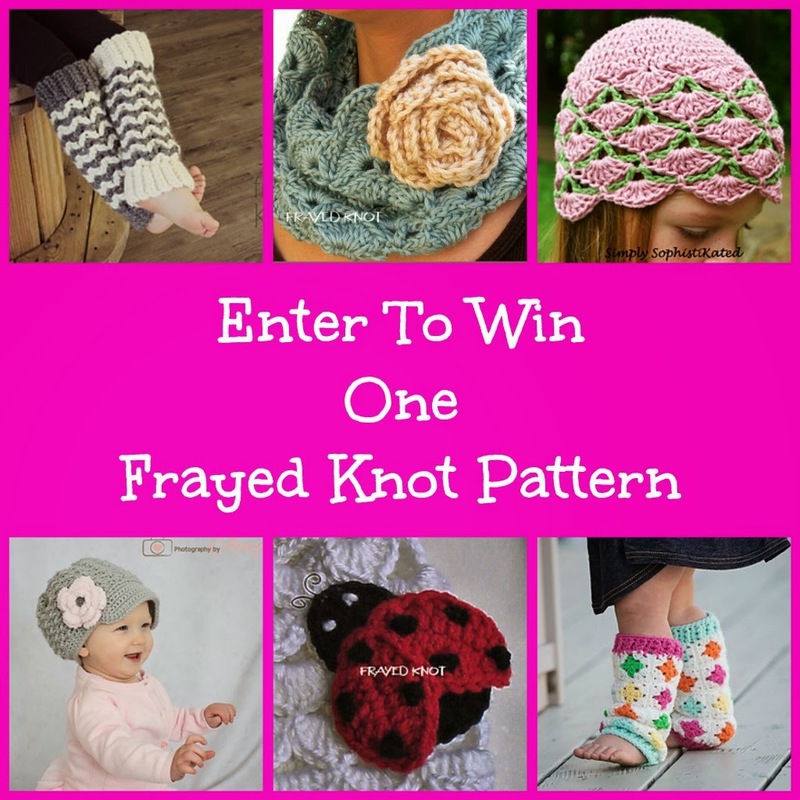 The Frayed Knot has beautiful patterns! Doesn't she? Thanks for visiting! Oh wow, those are some awesome patterns. I am kind of in love with some of them. Thank you so much for inviting me to join. I am excited to show my projects and see others'. I like the Abigail Lace Hat because I am looking forward to SPRING! :) Thanks! Today I'd say the peekabow hat is my favorite, but that could change tomorrow! They're all great. I like the Frayed Knot 2-in-1 cowl scarf pattern. It looks versatile and pretty easy to make.